At Celebrate Birth, we want moms-to-be to create a birth path that’s right for them. When a woman visits us for a tour – which are open to anyone in our community – she empowers herself with knowledge about the available options during her childbirth experience. We believe that pregnancy and childbirth are wonderful, natural events that are enhanced when women know what to expect – especially when what they can expect is a calming atmosphere for mother and baby, both during pregnancy and during childbirth. An Introduction- When you enter Celebrate Birth you will be introduced to one of our knowledgeable staff members. The staff at our birth center has extensive experience and we will be happy to provide you with the background and education of everyone who will be working to help you through pregnancy, delivery, and beyond. We will also be ready to answer your questions about birth center birth, homebirth, and midwifery care. A Birth Center Tour- We are proud to show off our birth center and talk about each room. Our building holds over 30 years of beautiful birth stories and an amazing, positive energy that you can feel the moment you walk in the door. You will quickly see that delivering your child at Celebrate Birth provides all of the comforts of home. Explanation of services- We will explain what services are available at the birth center and give you a detailed overview of our care model. We do provide all recommended perinatal tests and screenings to those who utilize our services, with the exception of ultrasounds for which we provide referrals. We can also answer any financial and insurance questions you might have. The goal of our tour is to make anyone who enters our birth center feel comfortable and confident about their ability to give birth. We love to meet new members of the community, so please contact us to schedule a tour! 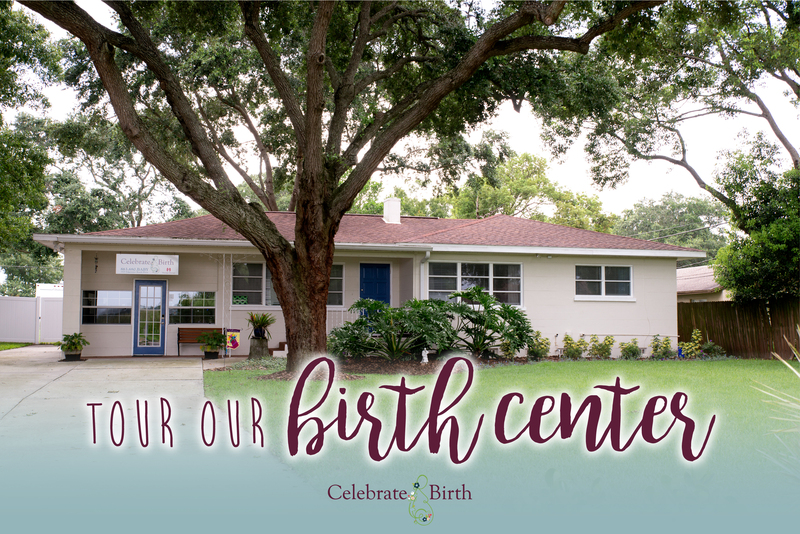 Tours of the birth center are scheduled on Tuesdays and advanced sign-up is required. Give us a call today at 863-680-2229.